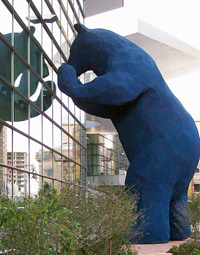 Colorado Convention Center to Host NACDS Total Store Expo 2015! The National Association of Chain Drug Stores (NACDS) Total Store Expo takes the best parts of a tradeshow and the best parts of a great conference and then blends them together to create this unique appointment based show. The show is totally dedicated to giving you the tools you need to make the event successful for yourself and your company. Suppliers and retailers will be able to network, make connections, and collaborate throughout the whole thing. There is a program during the expo called “Meet The Market” during the event where the retail audience will get to see all the latest products, technology, and services. It is a pre-exhibition event, and it is appointment based. This means that the exhibitors who participate in the event will show off their new products to different retailers through a series of 10-minute appointments. So each retailer gets their own personal little meeting with all the suppliers to check things out in private. 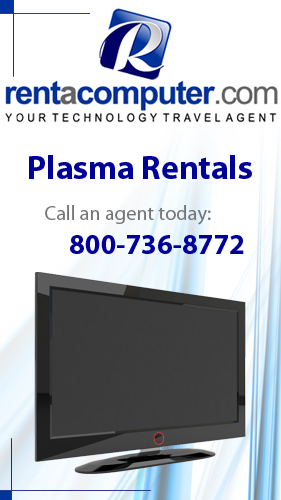 Get a Quote on a Monitor Rental for your NACDS Total Store Expo 2015 trade show booth from a Tech Travel Agent today! Rentacomputer offers local delivery and professional installation of all Monitor Rentals directly to the Colorado Convention Center and anywhere in Denver! If you are an exhibitor traveling to Denver for the event, the Meet The Market program alone is a huge opportunity. When you get your booth, Meet The Market is absolutely free, so that is awesome. This GUARANTEES an opportunity to sell to retailers before the exhibition hall even opens. And.. after it opens, there are way more opportunities to maximize your chances at selling to retailers who collectively have more than $650 billion in buying power. You’ll be able to network with all the biggest retail attendees who are category managers, directors, VP’s, presidents, and CEOs. These are huge decision makers from places like Wal-Mart, Rite Aid, Walgreens, and all the huge retail chains you could ever think of. It’s not some small time stuff, these companies are a really big deal. This is a huge opportunity for companies not just in Colorado or the United States but all across the globe. If you are looking to get your products in the hands of companies who know how to move those products, then you should really consider attending. It is also a great place for huge companies to come check out all the awesome new products that are about to change the market. All in all, there is something for everyone, and there are too many benefits to not attend and miss out on all of the huge opportunities. NACDS Total Store Expo 2015 will take place from August 22 to August 25, 2015, at the Colorado Convention Center! This entry was posted in Convention Center Events, Convention Centers, conventions, event news and tagged Colorado, Colorado Convention Center, conventions, Denver, Events, NACDS, NACDS Total Store Expo 2015, National Association of Chain Drug Stores. Bookmark the permalink.